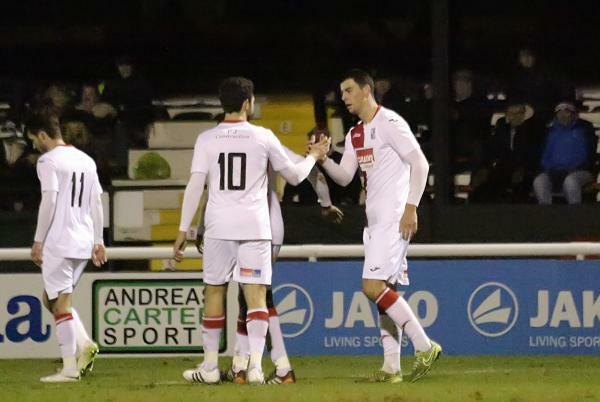 Woking sail through in the Surrey Senior Cup despite a valiant performance from Westfield. A brace from Joe Quigley and a sublime Jake Caprice goal saw Woking move into the quarter final of the Surrey Senior Cup as they swept aside a hard-working Westfield team at the Laithwaite Community Stadium. The victory for Woking means AFC Molesey are the next opponents for the Cards in the Surrey Senior Cup, with a date set for the match to take place on the 17th of February. Assistant Manager, Steve Thompson spoke to Radio Woking after the match in Gary Hills absence as Thompson confirmed Hill was away watching rivals Grimsby as they took on Bromley in the National League Conference. Thompson gave credit to the visitors as he agreed they (Westfield) had the better of Woking in stages of the match. “They gave us a good game, and arguably in the first 30 minutes they were the better team, from then on we started to improve. We were (not) happy with our first half, but the (2nd) half was (a lot) better. As expected, Woking made eight changes ahead of the clash. Giuseppe Sole and Quigley fronted a 4-4-2 while Jake Cole was a like-for-like swap for Nick Hamman who has lacked games this year; Caprice, Alex Smith and Matt Robinson all started on the bench on the weekend, they came in and made the starting XI, along with Chris Arthur, Andrew Mills and Godfrey Poku who also started. Westfield manager, Dan Snare spoke to Radio Woking on the Saturday Sports show ahead of the clash stating “His boy were going to go for it” and that they did! Parrot heading Westfield into an early lead. It took the visitors 21 minutes to get onto the score sheet and take a surprising lead. 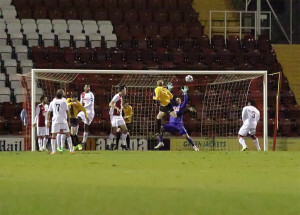 Pat Kirby crossed in a precise corner for Rob Parrot who rose above and headed neatly into the back of the Woking net. That old saying came back to haunt Westfield – “Your most vulnerable when you just score” – before the visitor’s celebrations stopped, Woking’s began, as Quigley flicked home a speculative looping shot over Westfield goalkeeper Stuart Norman. Short moments later Sole struck the bar from a direct free-kick. Westfield, who play in the Combined Counties division, really should have gone ahead. Phil Moore done well to beat Robinson, he then provided a brilliant cross to find Parrot lurking, unmarked in the centre of the Woking box but he miss judged the cross and failed to be clinical keeping things level at the delight of many Woking fans. Westfield being four divisions below Woking they really gave a good account of themselves. As Parrot again, forced a good save from Hamman with a well-timed headed at the near post. 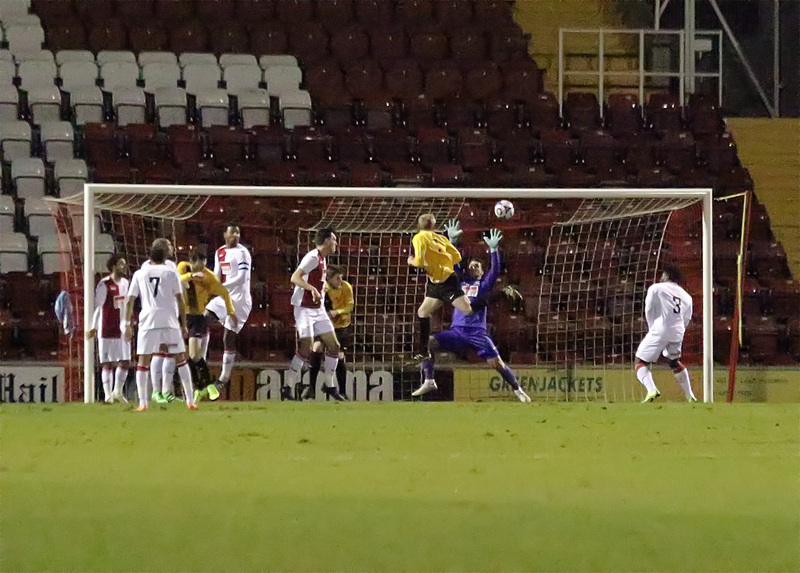 Woking got their 2nd of the night through none other than Quigley, the Bournemouth loanee, received the ball from Goddard, Quigley turned his man and drilled the ball with his weaker left foot and Woking went into the break with a slender 2-1 lead. In the second half Woking had a lot more possession. Westfield sat deep and tried to contain the threat Woking posed, breaking on the counter at any opportunity they had. A bizarre scare did occur as Matt Steer tried heading a long ball back to his keeper Norman, Sole read the play well and got onto the end of the back pass but the striker put his shot over the bar. keeper made two dramatic saves in the dying embers of the match. Despite the result, Westfield manager Snare was proud of his player’s as he spoke to Radio Woking, “I said to the boys at HT, why have we waited six months to play like this? Because that’s how I know we can play. Caprice unleashed a bolt of a shot into the net. man with two goals to his name. Westfield are back in action this Saturday as they take on Ashford town and Woking are back in league action as they take on AFC Guiseley. You can follow all the live action on Radio Woking’s Saturday Sports Show. Every Saturday live from 2pm.